Shop Online At Possum County Folk Art Gallery, Click Here! Click HERE to see "The Tree Man", Brian Bohanan, setting up at Lowe Mill ARTS Center! 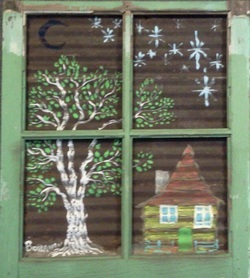 Welcome to Bohanan Folk Art! 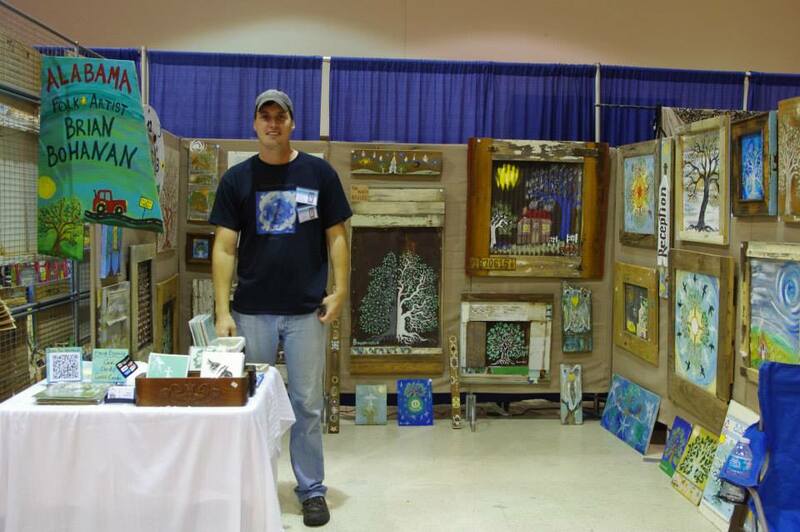 For over 10 years I have shared my artwork throughout the southeast at Art Festivals, Galleries,and Workshops. I am a Folk Artist and taught myself through years without formal art studies. Life my greatest teacher allows me to tell my story and share who I am. Staying true my life's journey, influences and lessons allows my experiences to spark the creativity in my work. My art is who I am and fuels a passion to constantly create. My goal is to speak through my works. I feel art is a window into the soul and allows you to show a little bit of whats inside in each story. To create works of art using materials otherwise discarded energizes me to turn life into something that has died. Each "Tree of Life" I paint on reclaimed wood feels like a renewal of purpose is captured. It gives me great joy when the vision calls me to this and I strive to achieve a high percentage of recycled artwork. I am a resident of Shelby County Alabama with my wife Meghan and three children Turner, Clay, and Lanie......as well as a smorgasbord of critters. I hope my work inspires and speaks to you! Bohanan at Slotin Folk Fest 2013!